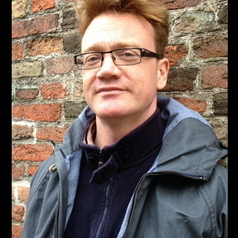 Francis Gilbert is a Lecturer in Education at Goldsmiths, University of London, teaching on the PGCE Secondary English programme and the MA in Children’s Literature with Professor Michael Rosen. Previously, he worked for a quarter of a century in various English state schools teaching English and Media Studies to 11-18 year olds. He has also moonlighted as a journalist, novelist and social commentator both in the UK and international media. He is the author of 'Teacher On The Run', 'Yob Nation', 'Parent Power', 'Working The System -- How To Get The Very Best State Education for Your Child', and a novel about school, 'The Last Day Of Term'. His first book, 'I'm A Teacher, Get Me Out Of Here' was a big hit, becoming a bestseller and being serialised on Radio 4. In his role as an English teacher, he has taught many classic texts over the years and has developed a great many resources to assist readers with understanding, appreciating and responding to them both analytically and creatively. This led him to set up his own small publishing company FGI Publishing (fgipublishing.com) which has published his study guides as well as a number of books by other authors, including Roger Titcombe’s 'Learning Matters' and Tim Cadman’s 'The Changes'. He is the co-founder, with Melissa Benn and Fiona Millar, of The Local Schools Network, www.localschoolsnetwork.org.uk, a blog that celebrates non-selective state schools. He has appeared numerous times on radio and TV, including Newsnight, the Today Programme, Woman’s Hour and the Russell Brand Show. In June 2015, he was awarded a PhD in Creative Writing and Education by the University of London.